Thanks for your interest in joining Warwickshire Search & Rescue. Due to an overwhelming response, applications have now been closed. However, as we receive no external funding, fundraising is extremely important to continue our life saving work. Joining a Lowland Rescue team is very rewarding, but can also be demanding. For those wanting an operational role within the team, you need to consider the following. Can you commit to regular training sessions, and assist the team in other activities, at various locations within Warwickshire? Are you prepared to be called out in the middle of the night in all weathers? Can you put up with getting cold, wet, and dirty? Are you prepared to deal with situations that could be potentially dangerous, and still provide help and assistance to keep yourself and your team members safe? In these times of tight budgets, can you afford the fuel and to buy personal kit? We hope we haven’t discouraged you, but it is better to know, in advance, what you’re getting into. If you’re still interested, read on. All new members joining the operational team must complete a nationally recognised Lowland Rescue curriculum, including search techniques, casualty care, health and safety, communications, navigation and working with the emergency services. 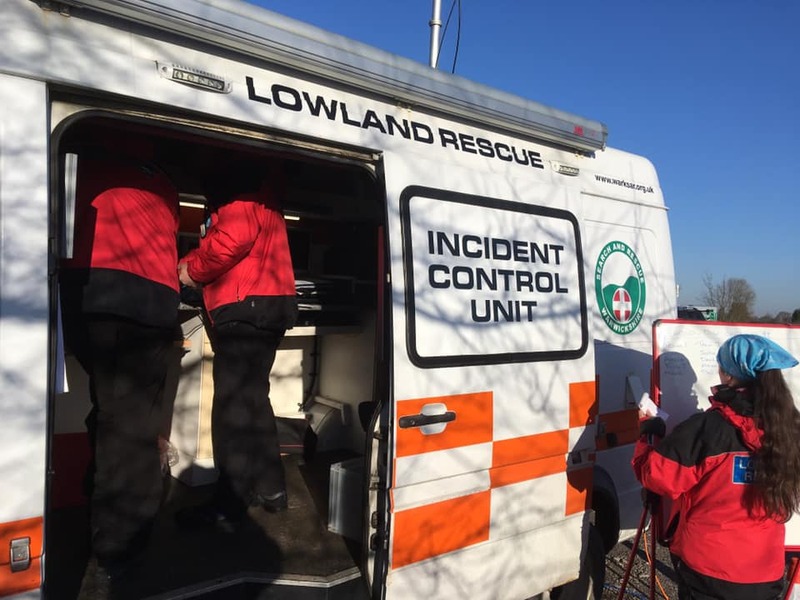 We also train in some more advanced skills which the team could be called upon to use by the emergency services, including water rescue and medical evacuation. The aim is to equip you with the skills to operate in a safe and effective way in the field. Once you have successfully completed all aspects of the training, you will become a qualified Search Technician. This will take a minimum of six months. Further training is required to become a Team Leader, in order to safely and effectively lead a team of Search Technicians on a search, and manage any situations that arise. This will include successfully completing a recognised Lowland Rescue Team Leader course. The Team Leader will lead a team out in the field, planning how to search the particular areas they have been allocated, and co-ordinate relevant activities on finding the missing person, whether that is the provision of medical assistance, managing the extrication of an individual, or controlling a crime scene, before the police are on the scene. Those wanting to become a Search Planner will need to attend a Search Planning course and study missing person behaviour in more depth. The Planner will gather all the information about the missing person from the police, and, using their in depth knowledge of missing person behaviour and search techniques, will plan which areas to search, and prioritise those areas, accordingly. They are trained to analyse the behavioural statistics for any given type of missing person and search accordingly. This method of fast but targeted search has proven extremely effective at maximising the chances of survival for any casualty. The Search Planner may also have to attend court hearings to give evidence about the search operation and the team’s findings. Someone who is qualified to perform both the Search Planner and Search Operations roles is known as a Search Manager. With your Search Technician training done, there will be opportunities to specialise. Whilst everyone will have to undertake water awareness training, you could go on to do further flood rescue training, advancing to swift water rescue training. You might want to join our Kayak Team, in order to help in water searches. You will have to attend separate training sessions, in addition to the team’s regular training activities, and be a qualified kayaker. Those of you with dogs might wish to think about training yours as a search and rescue dog. There is separate training and assessments required for this, and you will already have to be an experienced Search Technician, before starting to train your dog. Ultimately, you will need to become a Team Leader to be an operational Search Dog Handler. Find out more about our Search Dog Team by visiting our Search Dogs page. Behind the scenes we need people who can help us raise funds, organise events, help with administration, photography, marketing and public relations, and acting as missing people for training purposes, etc. 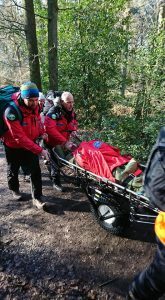 If you think you might be able to help us in some way, please e-mail us at volunteering@warksar.org.uk. Regular training sessions are held fortnightly on a Friday evening at various places across Warwickshire. Additional training is arranged on an ad hoc basis. 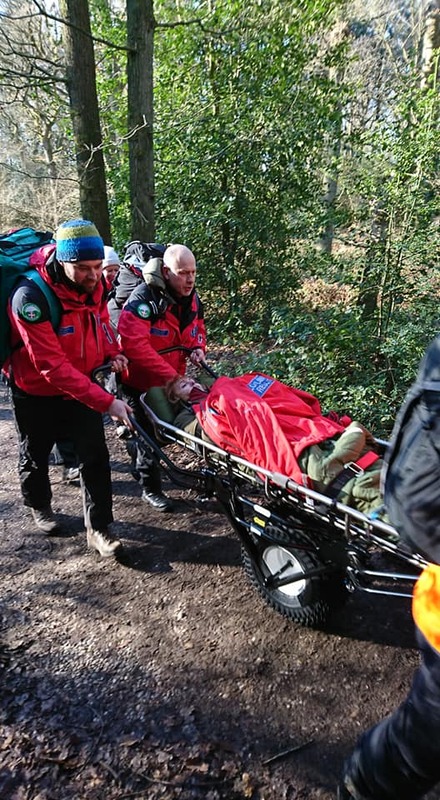 If you want to find out more about joining us, think you can help, or have any questions, please email our Membership Secretary at membership@warksar.org.uk. Alternatively, call 01926 530858 and leave a message. We are all volunteers, so may not be able to respond immediately to your enquiry, but will do so as soon as possible. As we will be potentially assisting vulnerable persons, any person undertaking an operational or support role will have to undergo a non-police personnel vetting to reveal any current or spent convictions. These checks will be undertaken by Warwickshire Police. More information will be provided as part of the induction process.